The creators of the 2010 ‘Christmas Starts With Christ' campaign say that its purpose is to bring attention to the true meaning of the holiday season by putting the message of Christ’s birth in a modern context. ‘He’s on His Way’, it declares. 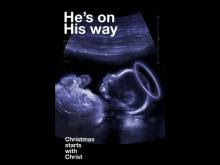 But the image of the ultrasound ‘Christ’ in his mother’s womb that has been launched on thousands of billboards and other advertising venues in the UK and in other countries around the globe, also subtly showcases the fact that Jesus Christ was once an unborn child in need of protection to ensure his birth and ultimate mission in his life on earth. 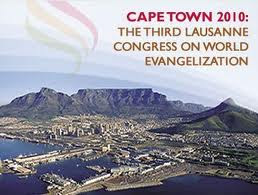 It was a wonderful privilege to be able to take part in the Lausanne III World Congress, Cape Town 2010, from 16-25 October. The gathering brought together over 4,000 evangelical leaders from 198 countries for a week of teaching, fellowship, worship and dialogue around the theme ‘The whole church taking the whole Gospel to the whole world’. A busy programme (all main sessions still available on line) included morning Bible readings on Ephesians from leading international expositors, plenaries on issues relating to world mission and a whole variety of ‘multiplex’ sessions and dialogues (seminars) on a myriad of topics relevant to Christian mission today. This was the third such conference on world evangelisation, following on from similar events in Lausanne Switzerland in 1973 and Manila, Philippines in 1989. The ‘Cape Town Commitment’, currently being finalised, will be issued in the New Year outlining the challenges for world mission in the next decade. •The explosive growth of the church in the ‘global south’. Those countries with the largest number of evangelical Christians, after the US, are now in order: China, India, Nigeria, Brazil, South Korea. The UK barely makes the top ten. •The challenge from Chris Wright, Director of the Langham Partnership and Chief Editor of the Cape Town Commitment, that the greatest barrier facing mission today was not persecution, ‘other faiths’, or resistant people groups, but rather moral compromise of the Christian community. He challenged us to be HIS people (people of humility, integrity and simplicity). •There were wonderful testimonies from Christians facing intense persecution in the hard places – particularly the Muslim world, North Korea and Northern Nigeria. A testimony from an 18 year old North Korean girl who had lost both of her parents but was wanting to return to her country to serve Christ was a turning point in the conference. Not a dry eye in the house. •The strong emphasis on ‘integral mission’, - Christ’s ‘Nazareth Manifesto’ call (Luke 4:18, 19) to the ministry of ‘preaching, mercy and justice’ with the aim of bringing God’s people to full maturity in Christ. •A growing recognition of the importance of ‘workplace ministry’ equipping Christians to be witnesses in the workplace. •New opening doors to world mission into previously closed countries through the roots of business, education, government, media and medicine (BEGMM). Doctors are perhaps unique in having an open door to every country on earth, many where traditional avenues to missionary work are closed. •‘Turning Points’: After a glimpse of the opening of the conference, this video traces in two segments the growth of the Church from Pentecost to the present in the face of many obstacles. 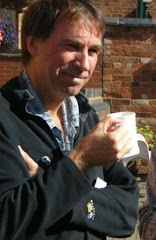 •‘Best practice’ models of whole person ministry of the church to local communities. An HIV/Aids project I visited in the Cape (Living Hope) is seeing many people converted and the community transformed through practical Christian love at all levels including hospice and clinic care, schools education, employment training and ministry to the homeless. •The exponential progress in Bible translation and the rapidly diminishing number of ‘unreached people groups’ as para-church organisations in particular deliberately and intentionally fulfil the great commission in a systematic way. •The wonderful experience of worshipping in a multi cultural environment - a real foretaste of Revelation 7:9, 10. •The innovative ‘table groups’ enabling groups of four-six to have ongoing deep fellowship within the context of 4,000 strong plenary sessions. I hope this gives you a glimpse of some of the highlights and encourages you as we move together to fulfil Christ’s great commission (Matthew 28:19, 20) and great commandment (Matthew 22:37-40) in this next decade. Ireland’s ban on abortion was upheld this week by the European Court of Human Rights in a case brought by three Irish women backed by the Irish Family Planning Association. The women had argued that the lack of access to abortion in Ireland breached their human rights. But the court ruled that a nation may define for itself protections afforded to life and said there is no Convention ‘right’ to abortion. However, the European judges noted that while abortion has been allowed in Ireland on limited grounds, including safety, since 1992 ‘there was no explanation why the existing constitutional right had not been implemented to date’. The European judges, whose human rights court predates the EU, rejected two cases (A & B) but ruled that a third woman (C) should not have been forced to travel to the UK in 2005 for an abortion because of fears that she or the unborn child would fall seriously ill. She was awarded 15,000 euros (£12,700) in damages. The woman, a Lithuanian, had complained to the court that she could not get proper medical advice in Ireland and the country's laws had stigmatised and humiliated her and put her health at risk. The Guardian carries a useful commentary explaining what the ruling will mean in practice, but it seems that initial reports that Ireland will be forced to change their law were overstated. Regardless, according to a Press Association report, Mary Harney, the Irish health minister, has insisted that legislation is the preferred option to a referendum. Ireland has already had three referenda on abortion law: 1983, affirming an outright ban; 1992, allowing women to legally travel for a termination and access information while maintaining the domestic ban; 2002, when by a margin of less than 1% of the vote the ban was upheld. However, a series of court judgments complicated issues such as the X case of a 14-year-old girl who became pregnant after being raped. She was allowed to travel because of the real and substantial risk to her life from suicide. As it stands in Ireland therefore, a woman is allowed an abortion currently if her life is at risk from high blood pressure, an ectopic pregnancy or cervical cancer. The issue of suicide and other health complications are not set down in law. How common is abortion to save the life of the mother? The whole saga raises the question of how commonly abortion is really necessary to save the life of the mother. Usually when the mother's life is at risk from an ongoing pregnancy, the baby is at a viable age and so can be saved simply by bringing forward the time of delivery. However on very rare occasions it may be necessary to terminate an early mid-trimester pregnancy (13-22 weeks) in an emergency in order to save the life of the mother. Here we are not saying that the baby's life is less important than that of the mother, but simply (since the baby will die regardless) that it is better to intervene to save one life rather than to stand by and watch two die. Even in these situations it is often possible to deliver the baby alive in such a way that the parents can have some short time with it. This was not unsubstantiated. The National Maternity Hospital in Dublin investigated in detail the 21 maternal deaths which occurred among the 74,317 pregnancies managed in 1970-1979. The conclusion was that abortion wouldn't have saved the mother's life in a single case. One suspects therefore that the Irish Family Planning Association has an agenda here that goes far beyond legalising abortion to save the mother's life alone. I am therefore grateful to John Smeaton of SPUC for drawing my attention to the United States Holocaust Memorial Museum’s new exhibition on medicalised killings under the Nazis which is currently travelling to different American cities. John similarly argues that the Exhibition shows us why we can never be complacent about the threat of medicalised killing. 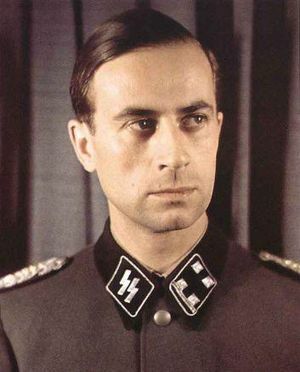 “‘The misguided scientific ideas of physicians and scientists were integral to Nazis' crimes against humanity and should serve as a reminder to doctors to put patients before political ideology ... As evil as these actions appear in retrospect, they arose out of a highly sophisticated German medical culture, said Matthew K. Wynia, MD, MPH ... More than half of the Nobel Prizes that were awarded in science through the 1930s went to Germans ... 'If we divorce ourselves from them or view them as entirely alien, then our ability to understand these medical crimes is thwarted, as well as is our ability to prevent other medical crimes,' Dr. Wynia said. 'These doctors became killers, not despite their training but in the name of their science and training' ... t is so important for doctors to maintain their professionalism in the face of political and other pressures ... 'This is not just Jewish history,' Dr. Wynia said. 'All doctors and medical professionals need to know and understand this material.'" I have had two letters regarding Lord Falconer's Commission on Assisted Dying published on the Times website but unfortunately neither has made the print edition of the newspaper. They highlight my concerns about the commission's bias and also the way that Lord Falconer (pictured), the former Lord Chancellor, has misrepresented publicly the Director of Public Proseuction's guidance on assisted suicide. You may also like to read the letter from the Care Not Killing Alliance giving the reasons why they are refusing to give evidence to the Commission. If you have a Times subscription then you can access them on the Times website but I have reproduced them here for easier access. Lord Falconer, in promoting his new ‘Commission on Assisted Dying’, says he wants to hear ‘from all sides’ but neglects to mention that six out of his eleven initial invitees have already refused to give evidence. Why are people so reluctant to lend credibility to this enquiry? Falconer’s commission is first unnecessary. There has already been a comprehensive recent examination of ‘assisted dying’ by a House of Lords Committee along with three parliamentary votes in the last five years all strongly rejecting a change in the law, two in the House of Lords and one in the Scottish Parliament. It is next unbalanced. 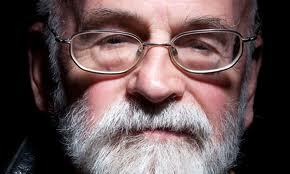 The commission was suggested by the pressure group Dignity in Dying and is being part-funded by Terry Pratchett, one of their patrons. Nine of the twelve members, handpicked by Falconer, are already known to favour a change in the law, including all five parliamentarians and all four doctors. It is furthermore to be chaired by Falconer himself, who led a failed bid to decriminalise assisted suicide in the House of Lords in 2009. Finally, it is lacking in transparency as none of its members’ conflicting interests have been openly declared. Why is it, when the five major disability rights organisations in the UK (RADAR, UKDPC, NCIL, SCOPE, Not Dead Yet) all oppose a change in the law, that Falconer has chosen a disabled person who represents none of them and takes a contrary position? Why, when 95% of palliative medicine specialists and 65% of doctors support the status quo, has he picked four doctors who hold the minority view? Falconer’s grand jury is nothing other than a covert ploy to pull the wool over the eyes of politicians too busy to ask questions about its independence and objectivity. The former Lord Chancellor, Lord Falconer (The Times, 13 December), seriously misrepresents the Director of Public Prosecutions guidelines on assisted suicide prosecutions in two important respects. This can be easily verified as the DPP guidelines, published in February 2010, are freely available on the Crown Prosecution Service Website. There are 16 criteria making prosecution more likely and 6 criteria making prosecution less likely. First, he says, in a video on the Times website, that the DPP’s criteria indicate ‘when he will prosecute and when he will not prosecute’. They actually do nothing of the sort as the DPP was at great pains to point out at the time. The presence, or absence, of the various factors simply makes it more or less likely that a prosecution will be brought. Not only that, but each case must be decided on its own facts. For the DPP to make a rule of any of the factors would be ‘fettering his discretion’, which is unlawful. Second, and more seriously, Lord Falconer includes ‘terminal illness or serious disability’ in the victim as factors making prosecution less likely. This is simply not true. The physical condition of the victim is irrelevant. In fact these criteria were removed from an earlier draft of the guidance as it was felt that they discriminated against sick and disabled people by removing legal protection from them. Are we really to believe that the former Lord Chancellor, and chair of the ‘independent’ Commission on Assisted Dying, is really not familiar with the DPP guidelines? Or is he just being disingenuous? And if so why? And why did the Times publish these false statements without checking their facts? These are serious questions which require serious and comprehensive answers. 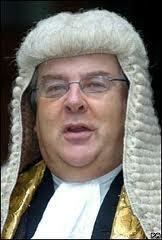 Yesterday the Care Not Killing Alliance wrote to Lord Falconer, the former Lord Chancellor (pictured), saying that we were declining his invitation to give evidence to his new Commission on Assisted Dying on the grounds that the commission was unnecessary, unbalanced and seriously lacking in transparency. Foremost amongst these concerns was the fact that the vast majority of the members of Lord Falconer’s commission were well-known figures in the pro-legalisation lobby. Amongst the eleven people initially invited to give evidence to the commission I understand that at least four others, apart from me (including Telegraph columnist George Pitcher), have also now declined. Yesterday Lord Falconer launched his commission via the Times newspaper, with an article and video, and in so doing made some rather astonishing statements about the law as it currently stands. Under the Suicide Act 1961, encouraging or assisting a suicide is a criminal offence carrying a custodial sentence of up to 14 years. But the law gives the Director of Public Prosecutions some discretion in deciding whether or not to prosecute in any given case. He must be satisfied both that there is enough evidence to bring a prosecution and also that it is in the public interest to do so. The DPP was required by the Law Lords, in their judgement on the Debbie Purdy case, to publish his ‘public interest’ criteria and did so, after a public consultation, in February 2010. These criteria are freely available on the Crown Prosecution Service Website. There are 16 criteria making prosecution more likely and 6 criteria making prosecution less likely. They come into play only after it has been established that there is enough evidence to bring a prosecution. Lord Falconer’s oral and written statements above quite seriously misrepresent the DPP’s guidelines in two important respects. First, he says in the video that the DPP’s criteria indicate ‘when he will prosecute and when he will not prosecute’. They actually do nothing of the sort as the DPP was at great pains to point out. The presence, or absence, of the various factors simply makes it more or less likely that a prosecution will be brought. Not only that, but each case must be decided on its own facts. For the DPP to make a rule of any of the factors would be ‘fettering his discretion’, which is unlawful. Why might Lord Falconer, a former Lord Chancellor (a member of the Cabinet responsible for the efficient functioning and independence of the courts), misrepresent the law in this matter? The first possibility is that he is simply not familiar with the DPP's prosecution criteria. If so, that would be rather astonishing, as surely an understanding of the intricacies of the law in this area, one would think, would be essential if one was to chair a commission examining that law. That would be, at very least, rather embarrassing. The second possibility is that he is familiar with the criteria, but for some reason is deliberately misrepresenting them. That, of course, would be much more serious. The Commission’s first evidence session took place today. We are told that ‘the meeting explored the current medical and legal landscape shaping people’s experiences of dying in the UK today’. Amongst the witnesses, interestingly, was the DPP Keir Starmer. We are told that full transcripts and a recording of the evidence will be published on the commission’s website as soon as they are available. It will be interesting to see whether the DPP was able, in giving his own evidence, to correct the former Lord Chancellor’s apparent misunderstanding of the very law that is the subject of his enquiry. In April this year the US state of Nebraska legislature signed off a bill that could weaken further the Roe v.Wade Supreme Court decision that has resulted in 52 million abortions. The bill bans abortions after 20 weeks of pregnancy based on the well-established concept of fetal pain. By a vote of 44-5, the Nebraska unicameral legislature gave final passage to the Pain Capable Unborn Child Protection Act introduced by Speaker Mike Flood. 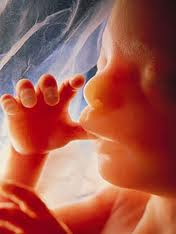 The legislation has been hailed by pro-life advocates across the country for its innovative approach and focusing the public’s attention on unborn babies who have been medically documented as pain capable at 20 weeks gestation. One effect of the bill was to drive LeRoy Carhart, an abortionist doing late abortions, out of the state to do abortions in Iowa, Maryland, and Indiana. I see now that Iowa legislators are in the process of drafting similar legislation to drive him out of Iowa and Medical News Today has reported on moves to push similar bills more widely afield. These recent developments are most interesting in the light of the controversy earlier this year surrounding a report from the RCOG claiming that fetuses cannot feel pain until 24 weeks gestation. I reviewed this report in June 2010 and argued that the RCOG had simply cherry picked both the evidence and the researchers which led them to their conclusions. However these new bills in the US give an indication how opposition to late abortion is growing with every new piece of knowledge about the fetus. I see that 26 of the rescued Chilean miners have just been welcomed to Manchester United by football legend Bobby Charlton. 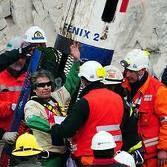 Back in October my wife heard an astonishing interview about their rescue on Radio Five Live’s Drive programme. Reverend Alfredo Cooper, chaplain to Chile’s president, spoke to presenter Peter Allen and gave an amazing testimony about the role prayer and faith had played in the whole drama. I found the interview on ‘Listen Again’ later that night and transcribed it on this site. Others copied and pasted the words and a recording of the interview appeared on you tube and on other websites. You can see the pictures on this site. I have just this last week received word of another video featuring the miners titled Chile, The Miners, and Respect for Life. The six minute video features video footage of the rescue along with interview clips but then goes on to give a prolife message and show some fascinating Chilean government adverts on marriage, family and pregnancy. Chile has a strong judicial-legal system with their Constitution and civil, criminal, juvenile and health codes protecting the life of the unborn. Chile’s president, Sebastián Piñera, apparently said that Chile’s respect for life mandated the great efforts to save the lives of the miners. A few days later, Cabinet Minister Carolina Schmidt publicly linked the Chilean effort to save the lives of the miners to their great respect for human life including protection of the unborn. Schmidt had also previously announced a few months before at an international UN-related meeting in Brasilia, Brazil, that Chile’s new government is pro-life, and therefore would not accept abortion. As a result, some other Latin American countries followed Chile’s example, and subsequently made similar clarifications. Chile is a pro-life model for the world in other ways too. It has the lowest maternal mortality rate in all of Latin America. This has been reduced by over 50% from 43.7 deaths per 100,000 live births in 1990 to 21.1 in 2008 placing it at 46th in the world just 7 places behind the US and primed to overtake. This relationship between abortion rates and maternal mortality is important to note because abortion promoters are pedaling the false notion that legalising abortion reduces maternal mortality as a way of promoting abortion in developing countries. This is one of the myths highlighted in CMF’s submission to the Department For International Development’s (DFID’s) recent consultation on maternal mortality. Maternal deaths worldwide have in fact fallen from 500,000 to 343,000 between 1990 and 2008. This has nothing to do with abortion. Our report concludes that the real solution to reducing maternal mortality is multi-level: addressing social attitudes, education and empowerment of women, good quality obstetric/midwifery care and better birth spacing. Furthermore this is best achieved through positive engagement with religious leaders, communities and faith based organisations (FBOs). Some friends told me last year that they had given each of their children a £50 allowance to buy Christmas gifts for people living in developing countries. On the Christian Aid site you can buy 5 mosquito nets for £15, a beehive for £12, and a 'wormery' for £7. 16 ducks go for £25 and a goat for £15. Samaritan's Purse is offering four chickens for £10, a latrine for £15 or four blankets for £14. From CBM £26 will provide enough Mectizan tablets to help 40 families for an entire year - stopping the progression of River Blindness (Onchocerciasis) and freeing them from the associated, debilitating symptoms. 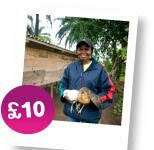 £15 will protect 50 children for 6 months from vitamin A deficiency and related loss of sight. World Vision is offering piggeries (£60), llamas (£46) and sewing machines (£98). Why not make someone you have never met feel special this Christmas. Nehemiah was the key figure, along with Ezra, who was used by God in the fifth century BC to help bring about one of the most profound revivals in biblical history. His achievements were monumental. He rebuilt the wall of Jerusalem in 52 days when it had lain in ruins for 150 years. He re-established full employment in a climate of economic recession. He reconstructed an effective social welfare system for the marginalized and reintroduced Bible exposition resulting in nationwide repentance and revival. He reinstated public worship and rooted out heresy and idolatry. He was used by God to put a whole nation back on its feet. 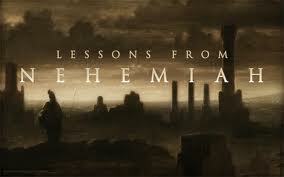 But first of all Nehemiah was a passionate man of prayer. When he was told that ‘those who survived the exile…are in great trouble and disgrace’ and that ‘the wall of Jerusalem is broken down, and its gates have been burned with fire’ his response was to weep, fast, pray and then offer himself to God as part of the solution. When opponents tried to discourage him by pointing out his meager resources, small progress thus far, strength of the opposition and size of the task he asked God to ‘turn their insults back on their own heads’. And when he felt his strength was giving out he called upon God to ‘strengthen my hands’. When his perseverance was rewarded with the completion of the wall we read that his enemies ‘were afraid and lost their self-confidence, because they realized that this work had been done with the help of our God. As Christian doctors today we are involved in a similar task of rebuilding in a similarly broken society. Our consulting rooms, clinics and hospital wards are filled with people who have physical, social and spiritual needs. Some are reaping the consequences of poor life-style choices. Others are there through no fault of their own or because they have been sinned against. Every day we are sent like the first disciples to preach good news, heal the sick and be advocates for those who have no voice. The task is huge. The progress is slow. The resources seem inadequate. The opposition is strong. Let’s also, like Nehemiah, be people of prayer and perseverance. Ethical stem cell treatments for diseases like Parkinson’s disease, diabetes and multiple sclerosis are moving ever closer. Ever since scientists first switched adult human cells into an embryonic-like state from which they can develop into any tissue type, recipes for making these induced pluripotent stem (iPS) cells have multiplied. These cells provide an ethical alternative to the use of embryonic stem cells which are produced by destroying human embryos. In October I reported on a huge stem cell advance unnoticed by the British media under the title ‘American scientists make new breakthrough in producing embryonic-like stem cells by ethical means’. Derrick Rossi and colleagues of Children's Hospital Boston and the Harvard Stem Cell Institute had reported online that they had produced induced pluripotent stem cells (iPS) from skin cells using modified forms of messenger RNA. The new technique appeared to be one hundred times more efficient than that initially pioneered by Yamanaka who produced iPS by introducing DNA into adult cells using viral vectors. Shinya Yamanaka's group at Kyoto University in Japan — one of two to first create iPS cells — infected adult cells with viruses carrying the genes OCT3/4, SOX2, KLF4 and c-MYC. Now, in a further step forward, researchers have replaced all but one of the genes used by Yamanaka with a cocktail of chemicals, taking scientists a step closer to creating patient-specific iPS cells that could be used in the clinic. The advance, by chemist Sheng Ding at the Scripps Research Institute in San Diego, California, and his colleagues (S. Zhu et al. Cell Stem Cell 7, 651–655; 2010) is an adaptation of the approach originally developed by Yamanaka. In 2008, Ding's team showed that a mixture of chemicals and two genes could reprogram neural progenitor cells, which already express other genes needed to make iPS cells (Y. Shi et al. Cell Stem Cell 2, 525–528; 2008). Now his group has made human iPS cells from skin cells by treating them with drugs and just one virus-delivered gene, OCT4. The resulting cells express the same genes as embryonic stem cells and can transform into different types of cell. OCT4 can be replaced as well, so an iPS protocol entirely free of foreign genes shouldn't be far off. Ding says that his team has already created mouse iPS cells using only drugs, and is making progress with human cells. In the two hour debate that immediately preceded the overwhelming 85-16 defeat of her End of Life assistance (Scotland) Bill in the Holyrood Parliament last Wednesday, Margo Macdonald MSP spent almost her entire opening and closing speeches launching a scathing attack on the Care Not Killing Alliance (CNK). In statements that were widely reported by the media, she condemned CNK’s campaign as ‘cheap and unworthy’, its literature as ‘tacky’ and said that she wanted to get her ‘retaliation’ in first’. Care Not Killing is actually a broad alliance of over 40 organisations including human rights groups, faith groups, professional groups, disabled peoples organisations. It was founded in 2006 to oppose Lord Joffe’s Assisted Dying for the Terminally Ill Bill’ which was defeated in the House of Lords on 12 May that year. CNK’s two aims are to promote good palliative care and to oppose any weakening of the law to allow assisted suicide or euthanasia. Operating as a cobelligerent coalition it has been extremely effective. CNK has been engaged at every stage in the debate surrounding Margo Macdonald’s Bill. It produced a detailed briefing paper and written submission for the committee scrutinising the bill and was invited also to give oral evidence. Later it coordinated a campaign encouraging ordinary Scots to write to their MSPs and send postcards outlining objections to the bill. In this way CNK placed an active part along with many other individuals and organisations in the democratic process that ultimately led to the bill’s heavy defeat. But we need to remember that CNK’s submission was just one of 601 written submissions sent to the committee and that 86% of all submissions opposed the bill with only 6% in favour. We also need to remember that five out of the six MSPs on the committee recommended that the bill be rejected at the first stage debate. We need to give MSPs the credit they deserve. They decided to reject the bill after an exhaustive democratic process during which both sides were given ample opportunity to present their arguments and after an objective, dispassionate review of the issues. Margo Macdonald’s bill was rejected because it was judged by MSPs overwhelmingly to constitute a real danger to vulnerable people. I leave the final words to Gordon Macdonald, CNK Scotland’s Policy Officer, who has formally responded to Margo Macdonald’s criticisms in a letter to the Herald. You report Margo MacDonald’s condemnation of Care Not Killing (CNK) for our campaign against her Bill. In particular she seems to object to our response cards, which enabled people to express their opposition to her proposals. We did not misrepresent the proposals in her Bill. Indeed, many of our criticisms of the Bill were shared by the parliamentary committee that considered the matter. Euthanasia and assisted suicide are highly charged and emotive issues. It is no surprise our campaign should provoke such a vehement reaction. Ms MacDonald cannot dismiss the 21,000 people who responded to her Bill, using material provided by CNK, to indicate their opposition to her proposals. Of the 601 written responses to the parliamentary committee, some 86% were opposed to her Bill. Ms MacDonald quotes opinion polls when they support her Bill, but cries foul when those who are opposed to her Bill express their opinion in substantial numbers. This is democratic politics in action and Ms MacDonald has to accept there is also a substantial and considered public and political opposition to her proposals. The vast majority of MSPs considered her proposals and concluded that they should not be supported. Today I went by invitation to the launch of Lord Falconer’s Commission on ‘Assisted Dying’ at the London headquarters of think-tank Demos. He confirmed that the commission has been set up with funding provided by Bernard Lewis and celebrity novelist Terry Pratchett (pictured), a Patron of Dignity in Dying and advocate of legalizing assisted suicide for people with dementia. He also confirmed that Dignity in Dying itself (formerly the Voluntary Euthanasia Society) had made the arrangements for its formation. He insisted however that his inquiry into assisted dying in the UK would be ‘an objective, dispassionate and authoritative analysis of the issues’. The aims of the commission are to consider ‘what system, if any, should exist to allow people to be helped to die and whether changes in the law should be introduced’. He confirmed at the meeting, in answer to a question, that the commission would deal only with assisted suicide and not with euthanasia. Today we learnt the names of all twelve members of the commission. It was no surprise to learn that the majority (nine) are known already by those who work in this field to support a change in the law to allow assisted suicide. Most have actively worked towards this end in the past. None of the remaining three are known to oppose it. I asked the Demos Director about how the members of the commission were selected and she confirmed that they had been effectively handpicked by Lord Falconer himself. She didn't go as far as saying they had been interviewed by DID CEO Sarah Wootton and Terry Pratchett himself (and I didn't ask), but that might be a good line of questioning for journalists. Falconer has included people who are prominent in their respective professions and have impressive sounding titles that bring a degree of gravitas to the proceedings but he has kept very quiet about their personal views. This will effectively fool most casual observers and media people not that familiar with the broader cast in this whole debate. He has, for the same reason, avoided using any of DID's official patrons, seemingly in order to create the impression that this is a group of 'independent' people not linked with DID (when in fact most of them are), or who at very least, in the main, share Falconer's own views. So who are the twelve members of this grand jury? Lord Falconer himself, who will chair the commission, has campaigned long and hard on this issue and attempted to legalise assisted suicide via an amendment to the Coroners and Justice Bill in 2009. Baroness Elaine Murphy of Aldgate and Baroness Young of Old Scone share Falconer’s views – Young supporting Falconer’s amendment on 7 July 2009 and Murphy voting for Lord Joffe’s Assisted Dying Bill on 12 May 2006. Penny Mordaunt MP has not had an opportunity to vote on the issue but recently made her own support for legalisation very clear. While all the major disability rights organisations in the UK (RADAR, UKDPC, NCIL, SCOPE, Not Dead Yet) oppose a change in the law Stephen Duckworth, Chief Executive of Disability Matters Limited, is one of those rare disabled people actually to back legalisation. 'Disability Matters' sounds grandiose but it is in reality just a private business - and judging by the current accessibility of its website, may not be doing that much at present. Duckworth happens to be disabled (hence his usefulness to Falconer) but he seems not to represent anyone but himself. Hardly surprising then that he is included on this panel. Whilst 95% of Palliative Medicine Specialists are opposed to a change in the law Lord Falconer has managed again to find two who buck that trend in Professor Sam Ahmedzai, Professor of Palliative Medicine in Sheffield, and Dr Carole Dacombe, Medical Director, St Peter’s Hospice. Earlier this year I was involved in a two hour dialogue in Oxford (over dinner) with Lord Ian Blair of Boughton, former Commissioner of the Metropolitan Police, and I can assure you that he too firmly supports a change in the law. Sir Graeme Catto, former President of the General Medical Council, recently spoke in support of the new organisation seeking to promote the legalisation of ‘assisted dying’, Health Professionals for Change. So who does that leave? Just three whose views we (or at least I) do not already know but may be able to guess: Dame Denise Platt, Member of the Committee on Standards in Public Life; Celia Grandison-Markey, Management Consultant for Health and Social Care in the public sector; and the Revd Canon Dr James Woodward, Anglican Priest and Canon of St George’s Chapel, Windsor. Any information of any of these would incidentally be most welcome. So is this an independent committee? I think not! In fact I am astounded that Demos, which is to act as secretariat, providing administrative and research support, has agreed to work with such an unbalanced group. But I suspect that like most of the British Public, Demos was simply not aware of where these illustrious people’s personal convictions lay. The Commission on 'Assisted Dying', due to be launched on Tuesday 30 November, has attracted some more attention in the press today and we are given additional information about the identities of some of the members of Lord Falconer’s ‘independent’ panel. The Observer has today run a piece with the intriguing title ‘Assisted Suicide Law to be reviewed by Lords’. This creates the misleading impression that this commission is somehow part of the parliamentary process when it is nothing of the sort. Instead, as we have already learnt, it is a privately organised enquiry which was the idea of campaign group ‘Dignity in Dying’ (formerly the Voluntary Euthanasia Society) and is being funded by celebrity novelist Terry Pratchett (who like Baroness Warnock backs legalising assisted suicide for people with Alzheimer’s disease). It is true that the Commission intends to publish a report in October 2011 which it hopes will be discussed in Parliament but we need to be clear that the pro-euthanasia lobby has decided to take this ‘independent’ route because their attempts to legalise assisted suicide through the standard parliamentary processes have failed by large margins at the last two attempts (148-100 and 194-141 in the House of Lords in 2006 and 2009 respectively). So what do we know thus far of those involved? As noted previously, Lord Falconer, who attempted to amend the Coroners and Justice Bill in 2009 to decriminalise taking 'loved ones' to Zurich so that they could end their lives at Ludwig Minelli’s suicide facility, will chair the commission. 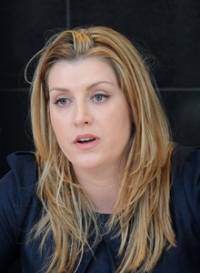 Another member of this 12-person ‘independent’ team is revealed today to be Penny Mordaunt MP (pictured), who ten days ago laid her cards on the table as a supporter of so-called ‘assisted dying’. Further members include Baroness Barbara Young, the former chair of the government's health watchdog, Canon James Woodward of St George's Chapel, Windsor and Stephen Duckworth, who has campaigned on disability issues. Baroness Young of Old Scone supported Lord Falconer’s move to decriminalise assisting with suicide in 2009 and also spoke in support of Lord Joffe's Bill in 2006. So the two ‘Lords’ on the panel who are to review the law are both already committed to legalisation. Stephen Duckworth also supports 'assisted dying' according to a statement on the DID website and seems to have no link with any of the main disability rights organisations who oppose any change in the law such as RADAR, Not Dead Yet, UKDPC, NCIL or SCOPE. We wait with interest to see who the other seven members are but it will be even more interesting to learn how they were selected. Were they nominated or appointed and if so by whom? Did they apply to be included and if so how did they learn about the commission’s existence and what was the selection process? Was there an interview? If so who was on the panel and how ‘independent’ were they? I do hope that on Tuesday, when the commission is launched there will be full transparency on these questions along with full disclosure about the commission’s funding and any possible financial and ideological vested interests of those selected. I was interested to read today in the Observer that Lord Falconer felt his 2009 amendment failed because it didn’t contain enough safeguards against abuse. It would be interesting to hear from him more specifically about which safeguards he felt were inadequate and why. Lord Joffe’s ‘Assisted Dying for the Terminally Ill Bill’ also failed on grounds of inadequate safeguards and serious questions have been raised about whether the key safeguards currently being campaigned by Dignity in Dying are adequate (ie. ‘mentally competent’, ‘terminally ill’, ‘persistent well-informed voluntary request’, ‘suffering unbearably’). In fact whereas Joffe used a definition of 'six months to live' for 'terminally ill', Sarah Wootton, the Chief Executive of Dignity Dying, extends this to twelve months. I note that Health Professionals for Change spokesperson Ray Tallis was heavily defeated in a debate on assisted suicide this last week in Liverpool by Lord Alton who simply outlined the deficiencies in so-called safeguards mentioned to date. I wonder who the ‘someone close to this’ was and what else they said. There are lots of interesting leads here for enquiring journalists to chase. It’s going to be a fascinating week. Micah Challenge is a global coalition of Christians holding governments to account for their promise to halve extreme poverty by 2015. It is establishing a global movement to encourage deeper Christian commitment to the poor, and to speak out to leaders to act with justice and its specific focus is the Millennium Development Goals. They include eradicating extreme poverty, reducing child mortality rates, fighting disease epidemics such as AIDS, and developing a global partnership for development. The aim of the MDGs is to encourage development by improving social and economic conditions in the world's poorest countries. The eight MDGs were developed out of the eight chapters of the United Nations Millennium Declaration, signed in September 2000. There are eight goals with 21 targets, and a series of measurable indicators for each target. There are five measurable indicators for target 6C but every single one of them relates to tuberculosis and malaria and none to ‘other diseases’. So in other words, whilst MDG 6 aims to ‘combat HIV/AIDS, malaria, and other diseases’ the exclusive focus of its associated ‘targets’ and ‘measurable indicators’ is actually HIV/AIDS, malaria and TB. To emphasise the point the United Nations webpage on the MDGs highlights just these three diseases. The Global Fund to Fight AIDS, Tuberculosis and Malaria is an international financing institution that invests the world’s money to save lives. To date, it has committed US$19.3 billion in 144 countries to support large-scale prevention, treatment and care programs against the three diseases. It claims as a result, through Global Fund-supported programs, to have saved 5.7 million lives, and put over 2.8 million people on AIDS treatment, 7 million people on anti TUBERCULOSIS treatment, and distributed 122 million insecticide-treated nets for MALARIA prevention. This is perhaps not at all surprising given the support of wealthy donors and celebrities like Bill and Melinda Gates, Warren Buffet and Carla Bruni. But at the same time virtually no progress has been made on ‘other diseases’. If you don’t identify your target there is little chance of hitting it. So what are these other diseases? And who is championing their cause? You, like me, may have missed a series of articles in the Guardian highlighting research that is answering just this question, and giving a platform to the British doctor who has been almost a lone voice in trying to attract the world’s attention to this issue. As it seems that no one has listened he has now said it again. The neglected diseases, which include schistosomiasis, river blindness, ascariasis, elephantiasis and trachoma, affect more than 750 million people and kill at least 500,000 every year. Treating all of these illnesses with a cocktail of four readily available drugs would cost less than 50 cents (28p) a person a year. Furthermore dealing with the forgotten diseases would reduce susceptibility to malaria and help to make socio-economic improvements for those in poverty, as well as save lives. Reaching everyone in Africa who needed treating would cost $200m a year, a mere fraction of the $15bn a year being spent on malaria, HIV and TB. However, the plight of these people is being neglected because resources are being monopolised in developing countries by HIV, malaria and TB – even though these diseases infect a much smaller fraction of their populations. These ‘other diseases’ are being missed because of distorted health policy goals. Most major pharmaceutical companies have pledged to provide, at no cost, billions of doses of the drugs needed to combat these diseases. But many G8 governments have failed to provide the means or impetus to get those drugs to the people who need them, a failure which Molyneux says is a major one. ‘If we can't deliver free drugs to poor people, I don't think there is much else we can do in international health’, he said. Surely if Jesus himself didn’t focus on just some diseases, but dealt with all, then as his people we must do the same. I pray that it will not be said of us as a generation of Christian doctors, that whilst making an impact on HIV/AIDS, TB and Malaria we turned a blind eye to ‘other diseases’ like schistosomiasis, river blindness, ascariasis, elephantiasis and trachoma. The British Medical Journal (BMJ) last week ran a story about a new Commission on ‘Assisted Dying’ that is due to launch officially on Tuesday 30 November in London. 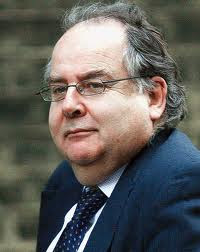 ‘Lord Falconer (pictured), Chair of the Commission, will make a keynote speech setting out the aims of the Commission on Assisted Dying and launching a public call for evidence. Lord Falconer's speech will be followed by a Q&A chaired by Kitty Ussher, Director of Demos. Attendees will have the opportunity to meet members of the Commission and refreshments will be provided. The Commission will look at the issue of assisted dying. It will consider what system, if any, should exist to allow people to be assisted to die, and whether any changes in the law should be introduced. The BMJ reports that the commission will consist of twelve people and says that the other eleven include ‘ethicists, doctors, lawyers, and law enforcement professionals’. Their names will not be announced until the commission is launched. Lord Falconer told the BMJ that the idea came from Dignity in Dying (formerly the Voluntary Euthanasia Society), which raised the money for the commission from the best selling novelist Terry Pratchett, who has Alzheimer’s disease, and from businessman Bernard Lewis. The fact that an ‘independent’ commission on ‘assisted dying’ is to be chaired by a peer who just last year tried to relax the law on assisted suicide, is being funded by a celebrity novelist who is passionately pushing for a change in the law and was dreamt up by a leading campaign group will certainly raise eyebrows. The Commission has understandably already attracted international media interest along with critical comment. Both George Pitcher writing in the Daily Telegraph and and John Pring of the Disability News Service writing for the Federation of Disabled People have raised questions about both its status and independence. 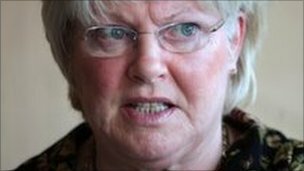 Pring quotes Baroness [Jane] Campbell, a leading disabled campaigner against legalising assisted suicide, who said that at this stage – before the full make-up of the commission was known – it ‘does not look in the least independent’. Baroness Campbell said she was particularly keen to discover whether the commission would involve ‘knowledgeable disabled people with the experience of severe impairment’. These are all serious questions which require serious answers. One hopes that these answers will be forthcoming next Tuesday amidst the media hype that will almost certainly accompany the launch. 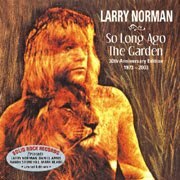 Just found Larry Norman's Nightmare on You Tube - astonishingly prophetic from the 1970s. I've pasted the lyrics here for you. Enjoy! we've polluted what we own will we reap what we have sown? are we headed for the end or can we turn? out of the grave oh who will save our planet?" he said "had you ever thought of having helen keller in your dreams?" Next, whatever skill or knowledge he may, by divine favour, become possessed of, should be devoted above all things to the glory of God and the welfare of the human race. Thirdly, he must remember that is no mean or ignoble creature that he deals with. We may ascertaining the worth of the human race since for its sake Gods’ only begotten Son became man and thereby ennobled the nature that he took upon him. 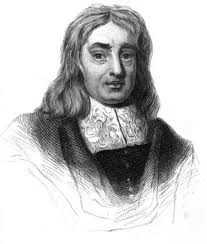 Finally the physician should bear in mind that he himself is not exempt from the common lot but is subject to the same laws of mortality and disease as his fellows and he will care for the sick with more diligence and tenderness if he remembers that he himself is their fellow sufferer’. When I was a general surgical registrar in Auckland, New Zealand the 'management era' was just beginning. Someone, who I expect had never worn greens and didn't know one end of a retractor from another, was examining the operating theatre budget in some office remote from the front line. About $15,000 needed to be saved and the deed was done by one stroke in the expenditure column. The theatre tea lady was sacked. The next day a metal and glass substitute arrived and took its place in the corner of the theatre tearoom. If a committee had studied the theatre environment for a decade in order to determine how to deal the worst blow possible to productivity, morale and efficiency for the minimal possible cost they could not have done better; because in value for money terms the theatre tea lady was the most important staff member in the department. I expect she graduated into her low-paid, low prestige role in the health service through managing to flunk her school exams and close the door to other possible career paths. Perhaps she chose her path willingly and cheerfully. Regardless, she loved her job and considered it a privilege and pleasure to be part of the team - and in many ways her fussing, appreciation, smiles and sheer human warmth as she dispensed cake, sandwiches and cups of tea made to personal order were part of the glue that kept morale up. Despite her low status she had a gift for making everyone feel they were appreciated and valued. And I think that helped us in doing the best possible job. By contrast her sudden unannounced departure without a scrap of consultation just fuelled the resentment. What the faceless bureaucrats failed to understand is that people perform best when they feel they are recognised and appreciated for the work that they do. The sacking of the tea lady was the first step in a long series of management blunders by people who in Oscar Wilde's words 'knew the price of everything and the value of nothing'. Little things like clean on-call rooms, after hours meals for hard working staff, rubbish bins you don't have to empty yourself and tea ladies who smile and make you feel important make a huge difference to morale, self-worth and performance. But you have to rub shoulders with those on the clinical front line to appreciate it. And that takes a special sort of manager - regrettably seen rarely in the administrative corridors of the NHS. Jesus was that special sort of manager - entering our world at the lowest level, taking the form of servant, and bearing our burdens. We desperately need more of him. Scottish GPs add their voices to those calling for final burial of Scottish ‘End of Life Assistance Bill’. Read final committee conclusions here. A GROUP of 47 GPs have united in opposition to moves at the Scottish Parliament to legalise assisted suicide. The Scotsman published the letter on Saturday. On Thursday 25 November the Scottish Parliament will vote on Margo Macdonald’s End of Life Assistance (Scotland) Bill, which if passed will legalise both assisted suicide and voluntary euthanasia for terminally ill and disabled people. It has been calculated, on the basis of figures obtained from other jurisdictions, that the bill, if passed, would result in over 1,000 Scottish deaths per year. As reported last week the committee set up to scrutinise the bill has now delivered its report and has recommended overwhelmingly that it be rejected. The full committee report is available on line but I have reproduced its final conclusions here below. The committee makes a compelling case for rejecting this bill, which would fail to protect vulnerable people and which has been shown to be full of holes that unscrupulous people could exploit. The pro-euthanasia lobby will no doubt argue that it is still possible to produce a bill with adequate safeguards to prevent any abuse or any danger to public safety. After many years that case still has not been made. But one thing is certain. If such a bill does in fact exist, then this most certainly is not it. This bill has now been placed in its coffin, and the final nails have been hammered in. Now it is time for the burial. • There is no ambiguity in current Scots law in this area – if some people choose to travel to other jurisdictions to commit an assisted suicide or to access voluntary euthanasia, they do so because certain, inherent aspects of those actions are unlawful in Scotland. That the decision of whether to prosecute is separate and subject to the Prosecution Code is part of due process. Any call for clarity is, therefore, spurious. • Examples from other jurisdictions have been offered as though comparable with the proposal in this Bill. However, there is firstly an important difference in the cultural and legislative contexts of those countries compared with Scotland. Secondly, there is a fundamental difference in the breadth and scope of this Bill. • The Bill seeks to decriminalise both assisted suicide and voluntary euthanasia under a single definition – it would have been clearer for the two acts to have been dealt with as separate provisions in the Bill. • An individual’s ‘autonomy’ has been advanced by the member in charge as a central argument in favour of the Bill. The Bill would not, however, accord or establish any rights. Further, although courts have acknowledged the right to respect for a private life, they have also acknowledge that this right may have to be tempered in the interests of wider society. The Bill should be considered, then, in the context of preserving a balance between an individual’s right to exercise autonomy and the interests of society as a whole. Most members of the Committee believe that the wider societal concerns should prevail in the context of the Bill and do not accept the principle of autonomy as argued by the member in charge. One member believes that the interests of the individual should prevail. • The preservation of an individual’s ‘dignity’ has also been presented as a central argument in favour of the Bill. However, ‘dignity’ is capable of two interpretations. Whilst those in favour of assisted suicide see it as a means of preserving dignity in the terminal stages of life and in the moment of death, those against present an equally compelling argument that a hastened death is undignified by its very hastening and that the key to preserving dignity in the terminal stages of life lies in the quality of care available to and the respect afforded to the dying. It is impossible to reconcile these arguments. • In Scots law, if a person aged over 16’s capacity is to be challenged, the challenger has to lead evidence to demonstrate the loss of capacity. The majority of evidence questioned why the Bill would create an unprecedented requirement across the board, to the effect that all individuals requesting assisted suicide and voluntary euthanasia would be subject to a test. However, the Committee believes that, in a situation such as this, the approach would be justified. • The Bill would establish a procedure, one of the purposes of which would be to detect undue influence. However, the approvals necessary to proceed would be obtainable following two meetings with a medical practitioner and one other meeting with a psychiatrist, neither of whom would need to have previously had any contact with the requesting person. The question is whether this level of contact with these particular categories of person would give sufficient assurance that there had been no undue influence on the requesting person’s decision. • The Bill attributes a meaning to the phrase “end of life assistance” that does not explicitly include any notion of hastening death. This use of terminology is confusing and arguably misleading and inconsistent with the member in charge’s stated reasons for proposing the Bill. It would have been unambiguous to use the terms “assisted suicide” and “voluntary euthanasia”. • The Bill, in setting out eligibility requirements in Section 4, ostensibly provides for an objective standard based on finding life “intolerable”. The Committee believes, however, the standard set out is inherently subjective. Indeed, the member in charge placed great emphasis throughout the inquiry on her intention that the wishes and self determination of the requesting person be paramount. Such a test cannot, therefore, stand up as an objective test. • A further eligibility requirement set out in the Bill would be based on being “permanently physically incapacitated to such an extent as not to be able to live independently”. This raised a number of equalities issues. The terminology used was aimed at capturing a small number of people who find life intolerable but could also apply to a wider group of people with a range of physical conditions or physical incapacity. This is symptomatic of the breadth of the member in charge’s intentions. The immense difficulty of drafting a provision that would capture all those that the member in charge means to include without extending to whole other groups should be recognised; this terminology is, however, extraordinarily wide. • There are real problems in the Bill’s definition of “terminal illness” as it is based on a notion of timescale that may be difficult to ascertain. • In relation to the eligibility requirement based on an inability to live independently, the Committee found evidence from organisations representing people with disabilities to be particularly compelling because of the way in which society may let an individual’s life be intolerable by neglecting to provide sufficient and appropriate support. Using the inability to live independently as an eligibility requirement for end-of-life assistance raises issues of definition, clarity and subjectivity similar to those relating to other terminology in the Bill, with the additional possibility of unintended consequences. • The Bill does not specify any particular qualifications or experience for the designated practitioner and psychiatrist roles. The Committee shares the concerns raised in evidence about this issue but notes that this may raise competence, regulatory and legal issues. The Committee did not hear evidence that these issues had been explored. • Points were also made about the age threshold. Some members found the threshold at 16 to be consistent with other legislation. Other members were sympathetic to the arguments in favour of setting the threshold at 18. • Concerns were expressed on the lack of detail with regard to the requirement for the presence of the designated medical practitioner but believes that any medication administered during the end-of-life process should nonetheless be in the presence of a medical practitioner. • The Committee is concerned that the setting of a limit of 28 days for the provision of end-of-life assistance could encourage a person to proceed prematurely. • The Bill would not explicitly require the participation of any particular person or class of person in assisted suicide or voluntary euthanasia. Nor does it state explicitly that they would be able to refuse to take part. An absence of a requirement is not necessarily equivalent to a right to refuse. There were calls in the evidence for a form of ‘conscience clause’ to be specified. This may, however, fall within the ambit of regulation of the health professions and, therefore, outwith the legislative competence of the Parliament. It may be difficult for this Bill to find a satisfactory solution within legislative competence. The Committee believes, however, that, in legislation of this nature, a conscience clause should be included. • Contrary to the assertions of the Policy Memorandum, the Bill could have a negative effect for disabled people. There are also potential issues of inequality in relation to remote areas where it could prove difficult to find locally practitioners and psychiatrists willing to participate. • The Committee is not confident that equalities issues have been robustly considered in the preparation of this Bill. The Policy Memorandum asserts that the Bill will have a “positive impact on issues of equality” but does not appear to be able to support this claim. It is an established practice that Scottish Government bills and policies are impact assessed to ensure that a negative impact is not inadvertently created for equality groups. The member in charge has not followed this example and the Committee finds that, as a result, the consideration of the equalities impact of the Bill lacks rigour. • Consideration of the Financial Memorandum uncovered weaknesses in its approach to estimating the number of assisted suicides and deaths by voluntary euthanasia that would occur if the Bill were enacted. In particular, no sufficiently sophisticated modelling has been undertaken. The Financial Memorandum also makes flawed assumptions about where costs would fall and is vague in respect of their scale. A further potential equalities issue – the possible differential impact on people from varying economic backgrounds – also appears to have been overlooked in terms of costs that may have to be met by individuals. 257. Overall, the majority of the Committee was not persuaded that the case had been made to decriminalise the law of homicide as it applies to assisted suicide and voluntary euthanasia, termed ‘end-of-life assistance’ in the Bill, and, accordingly, does not recommend the general principles of the Bill to the Parliament.